A couple of Flamborough Head (East Yorks.) seawatches on consecutive afternoons produced a nice variety of seabirds with several Sooty and Manx Shearwaters noted on each. 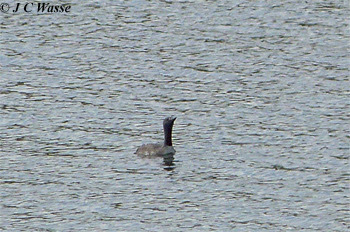 Despite favourable NNW winds throughout, no 'biggy' went by. Arctic and Great Skuas were present having fun chasing Terns and Kittiwakes. Terms comprised 'Commic' and Sandwich varieties, with Fulmars showing off their flying skills in the windy conditions. A sign of the turn in season was the regular movement of Red-throated Divers and a few Wigeon, Teal and Common Scoter passing by. Would love to do further seawatching this autumn, favourable winds permitting especially as 2 or 3 interesting Skuas got away from me. 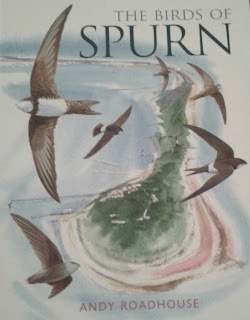 Another coastal visit this time to Spurn (East Yorks.) 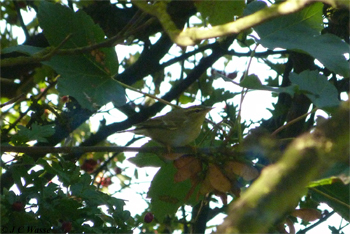 where an autumn 'rare' in the form of an Arctic Warbler (Yorkshire tick) had gone to ground on arrival at Easington. 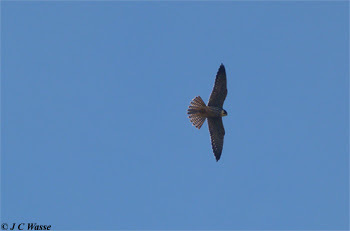 Later in the afternoon it showed reasonably well working the trees and hedgerow opposite the cemetery. A Brambling calling from way up high was my first of season winter bird, whilst a lone Swift, Swallows and House Martins plus a migrant Yellow Wagtail flying over reminded us that summer visitors were still to be seen. This was reinforced by juvenile Hobby or Hobbies over the Warren at Spurn and Easington respectively. It or both putting on a bit of a show. Autumnal birdies at Yorkshire's answer to Cape May also including catching up with single Yellow-browed Warbler and Pied Flycatcher at those respective locations. This day (Sunday 17 September) saw many birders, friends and family gather at Numpties watchpoint (by the Warren at Spurn) shortly after midday to celebrate the life and contribution to Spurn made by Andy Roadhouse. A welcoming speech from Rob Adams and happy reminiscences from Lawy were enjoyed by all. A quick visit to the South Yorkshire moorland edge the following day to twitch this inland Red-throated Diver at Scout Dike Reservoir. Grouse shooting on Midhope (Barnside Moor) was not productive for raptors in the vicinity of Low Moor. 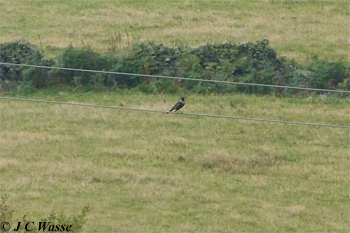 Nearby Ewden Heights held flocking Mistle Thrushes and carried a smart Ring Ouzel which was a nice surprise.